The linchpin of renewable energy is finding the means to store it. This is especially true of solar – our energy needs are 24-hour, yet we have defined periods of darkness every day. When most people think of energy storage, they think of batteries. From the button-sized watch battery to the shoe-box-sized rechargeable you find in a car, batteries are everywhere. Mobiles, laptops, tablets – just expensive chunks of metal without these portable power packs. So how do they work? All batteries work on the same principle – a chemical reaction taking place between two different materials and an electrolyte, which creates a flow of electrons. Of the two materials, one likes to give up its electrons, the other likes to receive them, so they act as positive and negative electrodes (it's essential to use two different materials otherwise the battery won't work). The only thing stopping the flow of electrons from one material to the other is the electrolyte, which acts like a kind of barrier. This is why you can store the energy... that is, until you give the electrons another escape route. Connect a battery to a device and you create another path for the electrons to flow through. They can flee from the negative electrode along this new route (leaving positive ions which go into the electrolyte), powering whatever they go through along the way. At the positive electrode, the electrons arrive and merge with ions from the electrolyte, completing the circuit. This process continues until all the materials change chemically, then there's no longer any electron flow and you end up with a flat battery. Rechargeable batteries reverse the process so it can be repeated over and over again – and these are the type of batteries we would want for our solar arrays. For commercial energy storage, flow batteries might be the answer. They work on a similar principle to the batteries in everyday devices, exploiting electrons' love of whizzing between different materials. In flow batteries, the positive and negative materials are dissolved in tanks of electrolyte liquid, separated by a membrane. 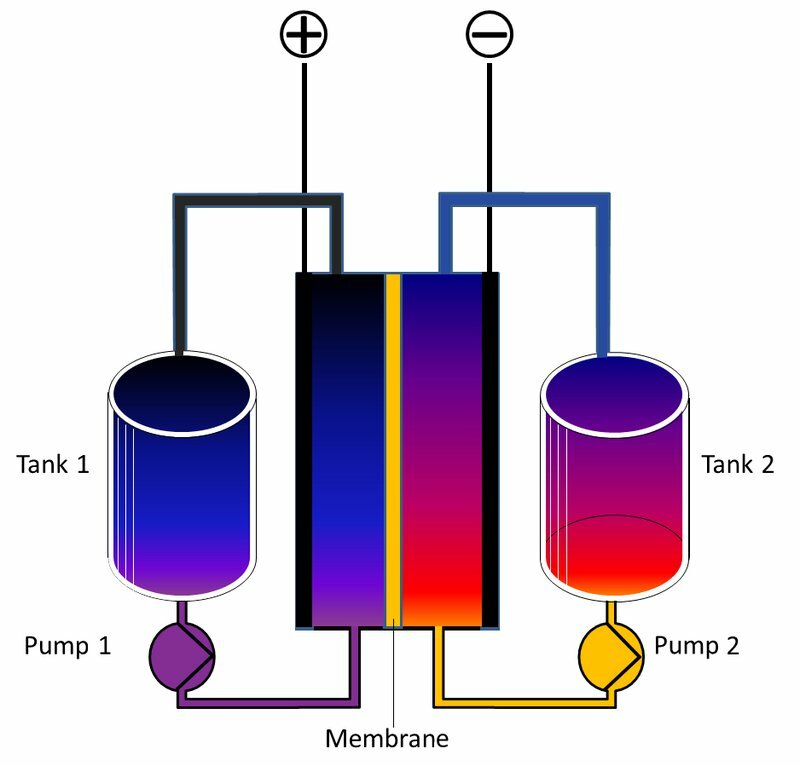 A pump pushes the liquid past the membrane, allowing ions to pass through while the spare electrons whizz through an electrode in the tank, which connects to a wider electricity circuit. The benefit of flow batteries is that they have almost limitless longevity, and their capacity limited only by the size of the electrolyte tank, so you can use them at scale – perfect for a solar farm. And if you want to recharge, you simply reverse the process, or, add more electrolyte liquid. A basic flow battery set-up. Tank 1 would have positive ions inside the electrolyte, tank 2 would have negative ions. Their associated reaction at the membrane would create a kind of free electron rush up the positive electrode, around a circuit to the negative electrode. Their Achilles' heel has, until now, been the materials required for the electrolyte – specifically vanadium ions which are very expensive. But Michael Aziz, materials scientist at Harvard, believes he's hit upon a much cheaper solution. Mr Aziz experimented with quinones – small, abundant (and cheap) molecules that easily transfer electrons. He found the reaction times to be 1,000 times faster, allowing fast charge and discharge, and that the price per kWh a third as cheap as the vanadium method (just $27 per kWh). Although this is one of the best battery solutions for commercial solar storage, it's not yet ready for use. Fine-tuning the various chemical solutions takes time to ensure they're safe and stable. But there's a strong possibility that commercially-sized flow batteries using vats of inexpensive chemicals will form part of the storage solution. Home solar systems would benefit from batteries, too. At the moment, they use the same lithium-ion battery technology as your smartphone or laptop, but can be expensive. Tesla's Powerwall, for example, costs £2,650 plus installation. Powervault, whose battery is about the size of a fridge, costs around £2,500. 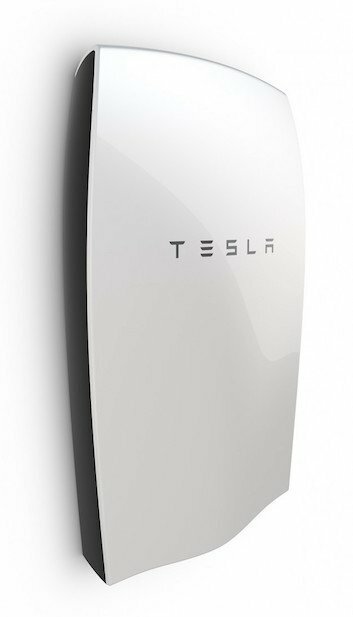 Wall mountable energy storage from Tesla. Each Powerwall provides 6.4 kWh, and can be combined for larger households. While these are great for capturing the extra solar power you produce and don't use (and helpful for power cuts), clawing back the initial outlay through energy savings can take some time – especially when you factor in maintenance costs. Also, power-hungry appliances like washing machines or electric showers guzzle stored energy in a matter of minutes, so their usefulness is a bit limited (to lighting, TVs, and so on). An interesting possibility is using the batteries inside electric vehicles to store energy. Then, the owner can either sell that stored energy back to the grid during peak demand, use it themselves, or drive around with it. Electric vehicles like the Tesla Model S 60, its cheapest model (costing around £58,000), aren't all that common yet, but they're as necessary to us moving to a fossil-fuel-free future as renewable energy – and have great storage potential. 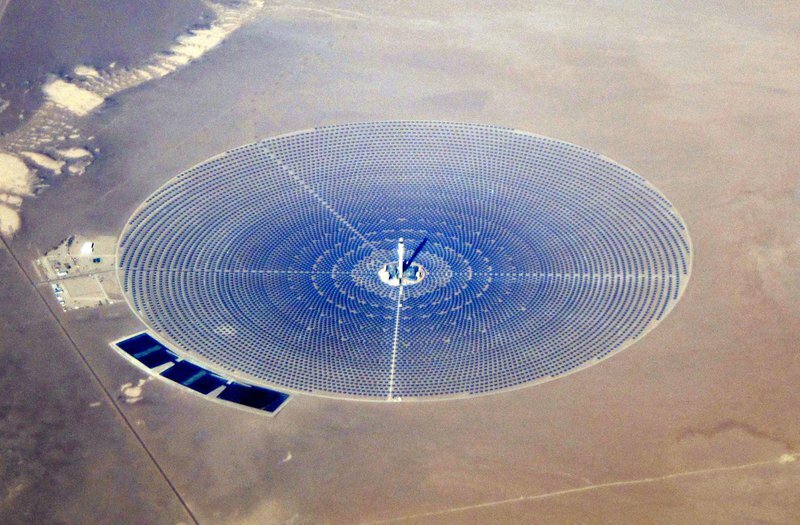 Of course, batteries aren't the only way to store solar energy. Another method is pumped hydro. Pumped hydro uses excess energy to pump water to an elevated reservoir, where it is then stored. When the energy is needed, the water is released, gravity does its thing, and the water falls through a turbine to generate electricity. Dinorwig power station, or "Electric Mountain". 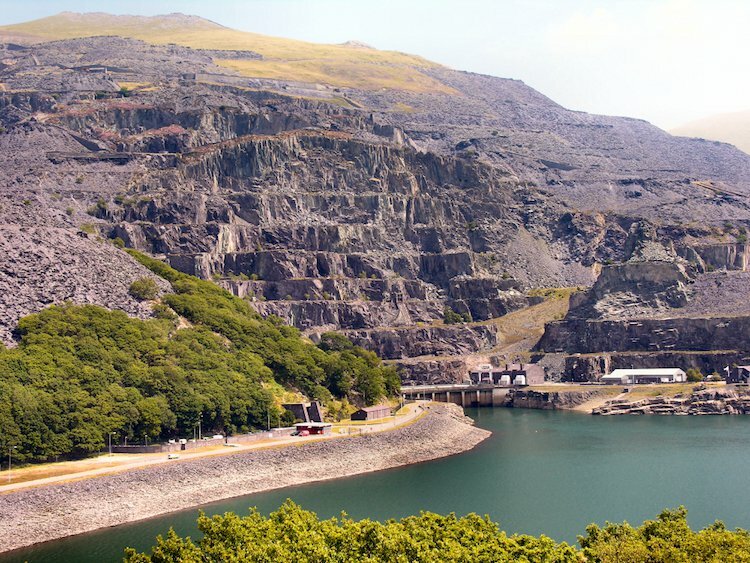 One of the largest pumped hydro stations in the UK is the Dinorwig Powerstation in Wales. It has a 1.7 GW capacity and was originally intended to store excess energy generated by nuclear power. But since nuclear didn't expand as extensively as forethought, it's now used to balance high demand periods, such as when everyone puts the kettle on during the interval of a popular TV program. It's location deep inside Elidir Fawr has earned it the moniker "Electric Mountain". Another pumped storage plant is due for operation in 2018, at Glyn Rhonwy, an old slate quarry. Developed by the Quarry Battery Company, it'll provide 49.4 MW. Pumped hydro's importance was emphasised in a report by DNV GL, an energy advisory, which said that failure to invest in pumped hydro could mean less support for other renewables where generation isn't constant. Compressed air storage is gaining popularity, too. Excess energy is used to compress gas, which is stored and released at a later time to generate electricity. At just 10% of the cost of Dinorwig's pumped hydro plant, Storelectric's proposals for compressing air into salt caverns in the Cheshire countryside suggest grid-level scalability. The McIntosh Compressed Air Energy Storage (CAES) facility in the U.S. One of only two operating CAES plants in the world (the other is in Germany). Salt caverns are naturally airtight, and therefore efficient. The plan is to store compressed air inside, then release it as needed. This two-way process is 100% renewable and would operate at around 70% efficiency at scale. Storelectric's plan for a 500 MW full-scale plant hopes to reach up to 85% efficiency, and has garnered a lot of media attention. Although hydrogen is the most abundant element in the universe, it is scarce on earth. It's simply too light to be retained by earth's gravity. Yet, it exists inside a great many molecules that can be broken down to release the hydrogen inside. By passing an electric current through water, for example, you can split out hydrogen and oxygen in a process known as electrolysis. Electrolysis devices are called electrolysers. They work with renewable generation to take excess energy and store it in the form of hydrogen, simply by passing electricity through a hydrogen-containing liquid. The hydrogen is then captured and stored as a compressed gas, liquid, or solid for use later. Hydrogen isn't so much a source of energy (because you need electricity to create it), but a carrier of it. Some of hydrogen's end uses include fuel cells, turbines, and catalytic converters. Hydrogen is extremely flammable, and the process chain of capture-store-use still very complex, so it's not as attractive as some of the other methods. But the technology is improving all the time, becoming more economically viable, so with the proper safety precautions in place it's an interesting possibility. So far we've focused on just energy storage, but what if there was a way to both create energy and store it simultaneously? SolarReserve's solar thermal storage system both collects energy and stores it for use later. It works by concentrating sunlight onto a tower using concentric rings of mirrors. The focused light hits a heat exchanger in the tower, heating molten salt that's being pumped through it. The hotter molten salt then goes into a thermal storage tank. When electricity is needed, the hot molten salt is combined with water to produce steam, which turns a turbine to generate electricity – like gas and coal power stations do. 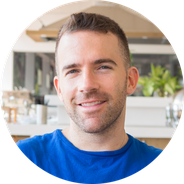 The system is 100% renewable and releases no harmful emissions, and when the steam and molten salt cool they're fed back in, meaning it's very efficient. Crescent Dunes solar thermal project using SolarReserve technology, in Tonopah, northwest of Las Vegas. With all these exciting technologies emerging, it's difficult to predict which is the best. With so many factors to consider – cost, complexity, efficiency, interested parties, environmental impact, and so on – perhaps several systems will share the burden, or one will rise above the rest as the ultimate way to store renewable energy. Whatever the result, the best minds are working on it. The UK has over 3 GW of stored energy at the moment, with another 653 MW planned or in development. Energy storage is a major investment and scientific opportunity – one that we must embrace with both hands as we move to a sustainable future.